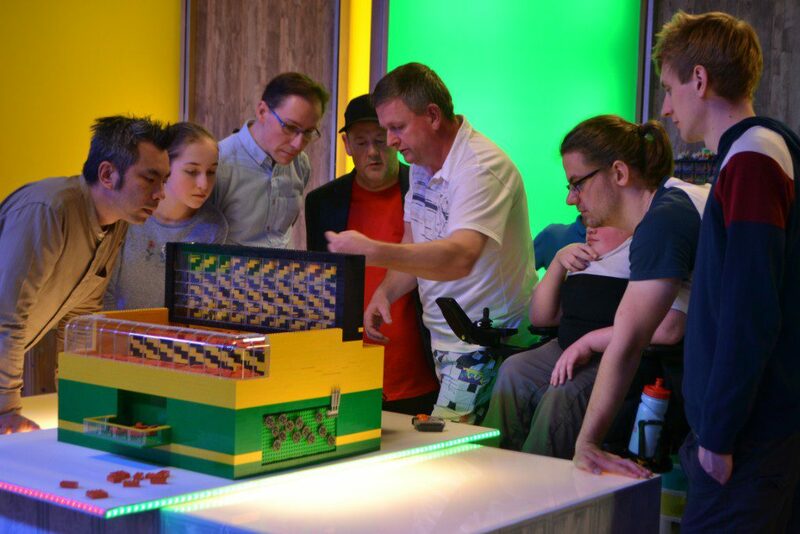 LEGO MASTERS Series 2 came to its conclusion last night with the grand final Master Build challenge. While both of the final two pairs built impressive models that wowed the public and the judges, only one team could take home the LEGO brick trophy. 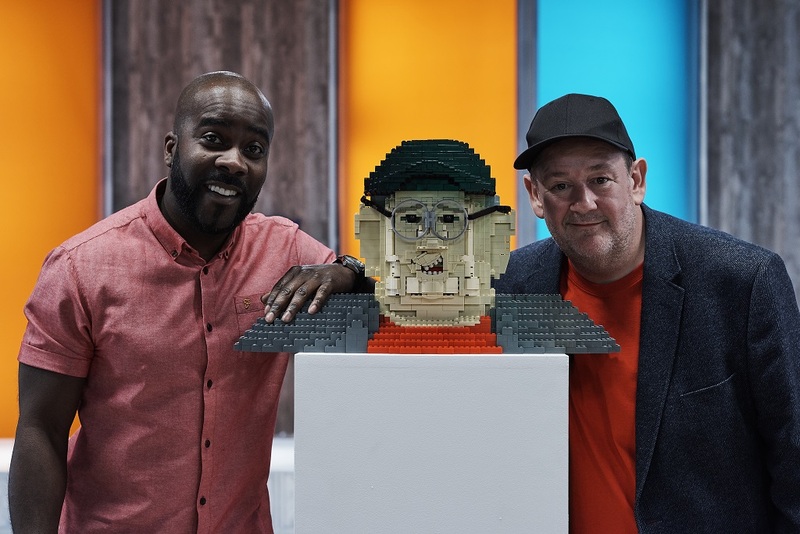 It was Paul and Lewis who earned the title of LEGO MASTERS 2018, after spending five weeks honing their brick technique. 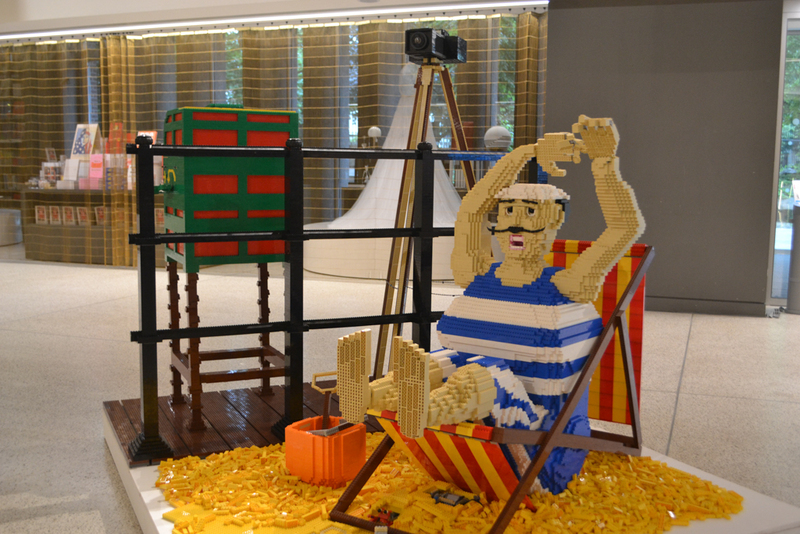 The competition winners took the time to speak to Brick Fanatics about their victory. Congratulations Paul and Lewis! How does it feel being LEGO MASTERS? Paul: When the judges called out our name in the final build I was amazed, we had done it. Entering this competition was all about Lewis getting his abilities out to a wider audience. At the start I was along for the ride supporting Lewis, as I have with his builds at home. In the end though we were a solid team, we both needed each other. Nothing could have made me prouder that night and not for the first time a tear was shed. Gratefully this time, they were tears of immense joy and pride at what we had achieved. You never get too old to indulge in a bit of creativity, some people have recognised Lewis and I, and told us that despite being similar age to me they have been inspired and dusted off their bricks. I have asked Santa for some LEGO Technic this year – but my wife says he is out of stock! Lewis: Winning LEGO MASTERS was quite a relief, the accumulation of months of work. This was especially true as the quality of both final builds was so similar; both having life-size people of equal amazement, interactivity, colour, motors and a distinct theme. There was no distinct winner or loser until the final announcement. P: Unfortunately there could only be one winning team and despite what has been described as a slow start in the competition I think from the wouse and the golf course we really stepped it up. The motors on the arcade machine not working almost scuppered our chances of making the final, the judges obviously had a hard week that week. How did you feel about your completed Master Build? L: I feel that our chosen design may not have reflected a deep meaning or connection to us on a personal level, but it had a consistent theme that both allowed us to express fun, creativity and functionality. The mutoscope was particularly impressive to us, both as a world first – as far as we know – but also as a complex mechanism that should truly put the arcade game failure behind us. The man on the chair captured a personal first, as the first organic build of ours, as well as it being life size and in a pose that emulated movement. P: We could have done with more time as there were still improvements we could have made. Lewis had been playing around with the caterpillar track wheel on his build table for a couple of weeks and wanted to do something with it. He had considered making some kind of space ship but when we made it to the grand final and we were given the brief to build something unique, we knew what to do with it. As far as we can tell no one has ever made a mutoscope entirely out of LEGO bricks. So as far as we can tell, what Lewis built is a world first. While Lewis built the mutoscope I set about making it fit into a scene with the deck chair and Archibald. I know we killed it building our Johnny bust, but I’ve never built anything like this before. The brief also asked for a narrative to go with our build, so I had a bit of fun here. Giving it a Yorkshire twist and calling it Riggwelted, links directly to the theme but also happens to be a cracking beer I was drinking when I wrote the narrative. Stuart and Izzy put up some strong competition, the globe Izzy made was phenomenal. 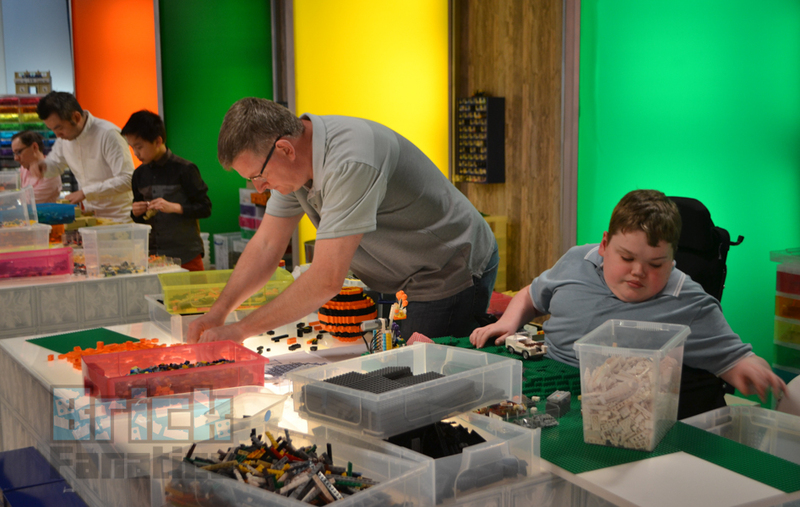 When you entered the LEGO MASTERS Build Room for the first time, how did it feel? P: Entering the build room for the first time was a bit surreal, we had made it. We were still finding bricks we didn’t know we had up to the third challenge. L: The first feeling as we entered the build room was one of splendour, the size and colour of the room seemed spectacular. The number of pieces in the room seemed unfathomable, yet as we went behind our desks there were more, a bin of red bricks, draws and tubs crammed under the desk its self. Been allowed to venture and discover where pieces were was incredible. When building your arcade game, you hit a snag – could you talk a bit about that challenge? P: The arcade game challenge was fantastic, right up to the last five minutes of the build. We had been allowed to build the iconic coin push machine. I had cocked up and the square that formed the base of the machine was two studs out on one side, we managed to overcome this as we only realised after it was too late to go back. It looked amazing and we had been testing it constantly as we built. Then with five minutes on the clock, the film crew were anxious for a final fully working test. There was a disaster as the motors broke free from the mounting and trashed the mechanism that pushed the shelf forward and back. We entered the judging with a fantastic looking machine, all that was missing was the out of order sign. We were truly gutted. L: The most challenging aspect was the time limits. While planning hindered us in other areas, it would have helped our time management. Regardless, we always finished a build to the level we were content with, even if we would have been happier to add more. P: We were noted for not having any planning material throughout the whole competition. I think in total we had six A4 pages, which were mainly photographs of things. On a couple of the challenges we actually had time left at the end and looked at our builds wondering if we had done enough. P: The robo pet was probably the hardest challenge for us, as neither of us had used motors to any great extent – and following the failure of the arcade game, the pressure was on. L: The House of Fun challenge I mentioned was frustrating, however the difficulties only arrived at the end. The most difficult challenge for me was the hybrid animal challenge. Building on my own is something I am used to, but not to the size, style or time limit set. Then, combining two completely different beings was tough and forced us both to think outside the box. For me, letting go of reality was hard, but invigorating none the less. The challenge also relied on system bricks, a medium I am not very familiar with, especially when creating organic material such as animals. L: While the hybrid animal was rewarding, the challenge I was most proud of would be the crazy golf course, because of the feedback. From the scale, to the theme and the complexity of the model, as well as the efficiency and strength of the club and the fact we went for realistic colours, it was our most well-judged build. Picking one model is difficult though, as each and every one made us overcome certain obstacles, but the golf course was the best received. P: I think the bridge challenge for me stood out. Everyone looked on in amazement that I just built a triple layer of system bricks and it stood up to and exceeded expectations at the test. L: Each day of building brought funny moments. Melvin’s wisecracks and spontaneous gags were of course comedy gold, but it was the off-camera gags that will stick with me. 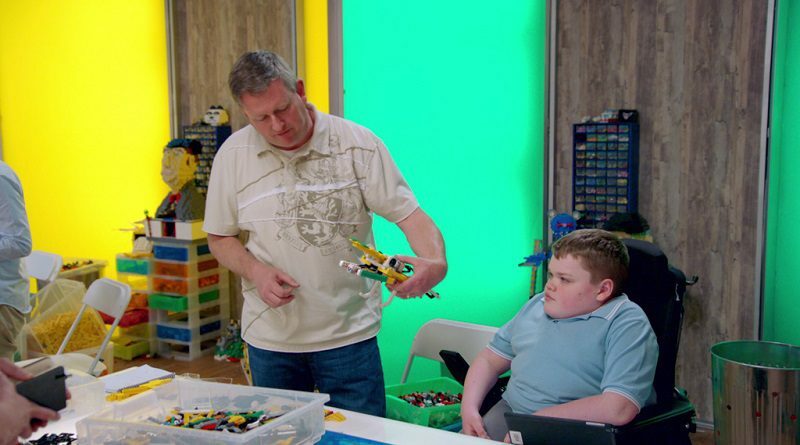 This links to my favourite part of being on LEGO MASTERS. The relationship between the competitors – a term I use lightly – was so casual and enjoyable. Not having many friends with similar interests, particularly in LEGO, at home limits my social life drastically. The four months on and off of filming was the closest I have ever had to a social life. This made eliminations particularly hard, especially with the kids as it wasn’t just them leaving, it was their families who we wouldn’t be seeing in the hotel when we returned. I’m glad to say we are all still in touch. On set, there were many great moments. Just little comments, particularly innocent ones from the younger competitors, such as “my dad watches them on TV”, in response to Johnny Vegas entering. 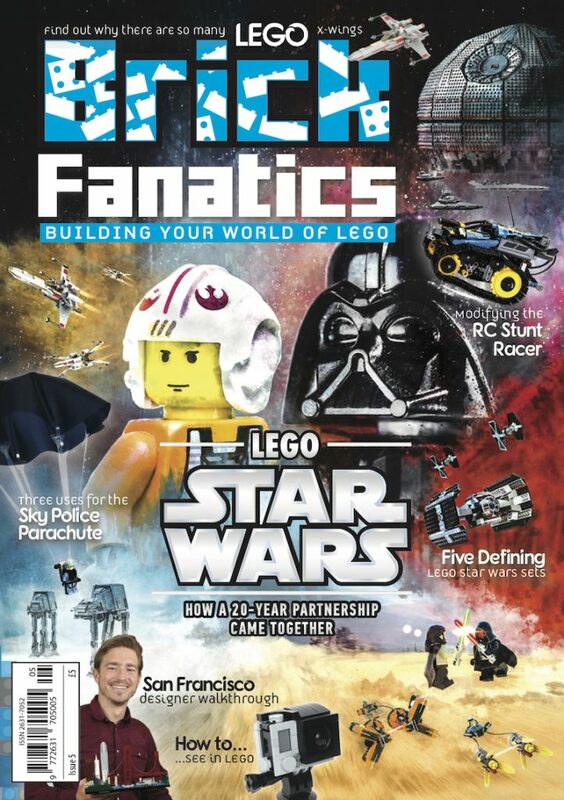 P: The best part about being on LEGO MASTERS was rekindling my love of LEGO and being able to share this with Lewis. P: I learned a lot about all the different pieces, Lewis right to the end would ask me to pass him a plate and I would give him a tile! I think I also underestimated my building abilities but then have I never had access to so much Lego. L: I learned a lot about us in the competition. My Dad still has building talent in him, after a long dry spell. I also learnt (about myself) to be more creative and not to worry about perfection. To run with an idea and see how it goes. This is why I feel the hybrid animal challenge represents my learning curve. It was spontaneous and forced me out of my comfort zone, from which I learnt to be more creative in the process.